You'll love this well maintained home located in the highly sought after gated community of Waterside with its multi-million dollar resort style club house. This beautiful open floor plan home has 4 bedrooms, 2.5 bathrooms, a large family room, den/office with French doors, eat-in kitchen, and a large screened in porch. The kitchen has stainless steel appliances, granite countertops, a large island and plenty of cabinet space. This fantastic community offers a recreational open area with a park. Community amenities included in this Gated Community are Tennis Courts, Playground, Walking Trail, Basketball Court, Soccer Field, Recreation Center, Lake Access, Canal Access to the Chain-of-Lakes, Resort Style Swimming Pool with Huge Water Slide, and a private fitness center and dance studio. Community is located on the bright blue waters of Crystal Lake located just over the Clermont line in Groveland. 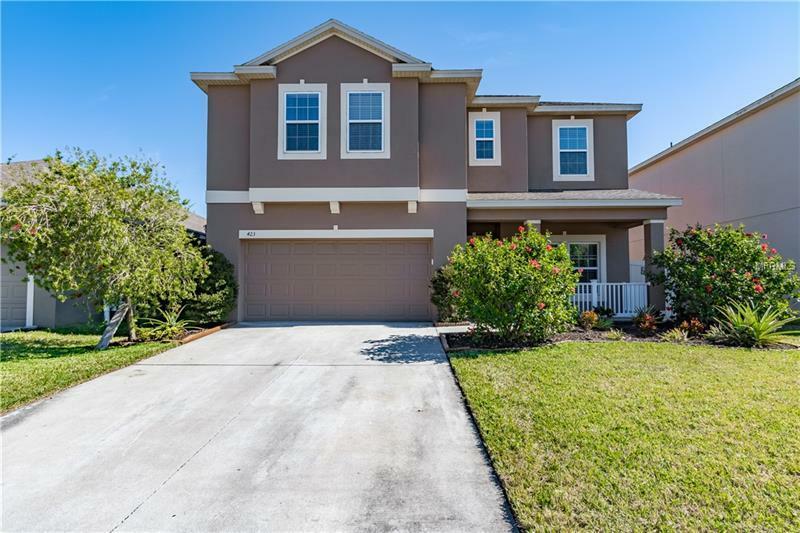 Just minutes from the FL Turnpike, shopping, restaurants, Lake-Sumter Community College and South Lake Hospital, this home has it all!